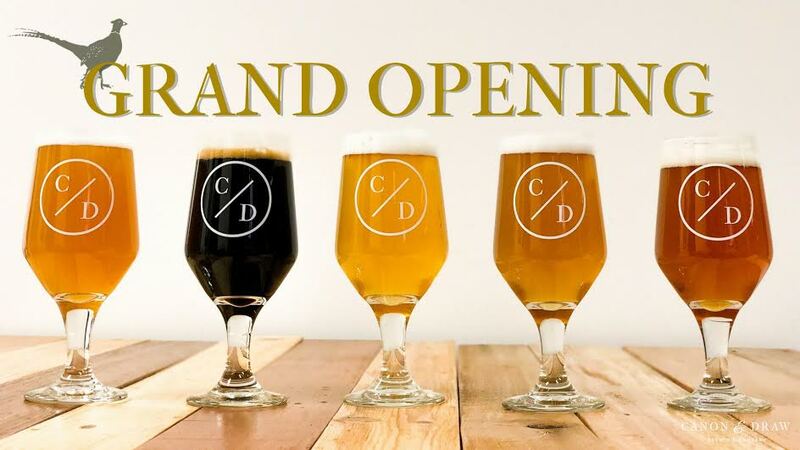 Canon & Draw Brewing Opens Tomorrow! Our friends at Canon and Draw Brewing are ready to pour you a pint! 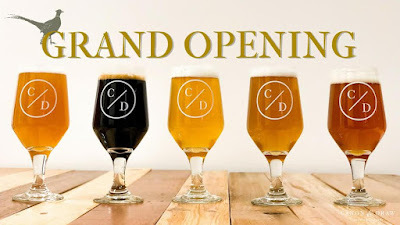 The Cooper family, owners and operators of Steam Bell Beer Works in Chesterfield, are proud to announce their newest project, Canon and Draw Brewing, will be opening at noon tomorrow, Saturday, March 3rd. Canon and Draw is located at 1525 West Main Street, across from Baja Bean Co.
To hold you over till tomorrow, check out the tap list below! River City Tap Water (or Tap Water for short) - 5.0% - American Adjunct Lager Consider this our take on a merging of the prolific American Lager with the ever evolving craft beer movement. At 5% ABV, it's crisp, crushable, and easy drinking. Tsunami Stout: Tropical Stout 8.1% A tropical stout cramming dark roasted chocolate and subtle molasses sweetness in a smooth and silky package. Welcher's IPA: IPA 6.1% Single hop IPA. We used Nelson Sauvin throughout on this IPA. The signature aroma of grape juice is accompanied by the same nuanced sweetness in the taste. Weiz Guy: Hefeweizen 5.2% A straight forward take on a classic style. Banana presence throughout with mild clove spice in the flavor. Incidental Circumstance: Saison 5.1% This saison uses a combination of noble hops and newer American hops. The duo creates herbal and spiced flavors, complimented with a mild twist of orange and lemon citrus. L'appel du Vide: Barley Wine. approx. 10.5% Small batch (we have 5 kegs, I would like to store one for a future special event at C&D, that would leave us with 4 kegs to serve at the opening.) This small batch of American Barleywine is hopped with classic American hops. The majority of this batch took the dive and are resting in the finest barrel we could get our hands on. What remained, we added a dry hop of even more American hops for a beautiful aroma. This beer is boozy, and delicious. Plum Ginger Gose: Gose 4.8% We took our sour and salty gose and added plum and ginger to give you a plum tart in a glass. Somewhere West of Estonia: Baltic Porter 8.0% The Baltic Porter is an exceptionally smooth and clean porter. This lager is packed with flavors of dried plums, dusted in cocoa powder. Dark, slightly sweet and incredibly smooth. The event will be held at Blue Bee Cider (1320 Summit Ave., Richmond) from 6:00 to 9:00 pm and is limited to 50 people. Tickets are on sale now at $85 per person, with proceeds benefiting the Human Trafficking Institute. 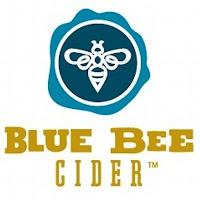 For more information and to purchase tickets, visit bluebeecider.com. 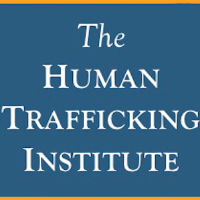 The Human Trafficking Institute exists to decimate modern slavery at its source by empowering police and prosecutors to stop traffickers. Working inside criminal justice systems, the Institute provides the embedded experts, world-class training, investigative resources, and evidence-based research necessary to free victims. Chef Brittanny Anderson is a 15-year veteran of the restaurant industry. She is the Executive Chef and co-owner of Metzger Bar and Butchery and co-owner of Brenner Pass, both in Richmond, Virginia. She trained at the French Culinary Institute in New York City under Master Chefs Jacques Pepin, Andre Soltner, and Alain Sailhac. After graduating at the top of her class, Brittanny worked in some of New York City’s best kitchens, most notably Blue Hill at Stone Barns and Northern Spy Food Company.